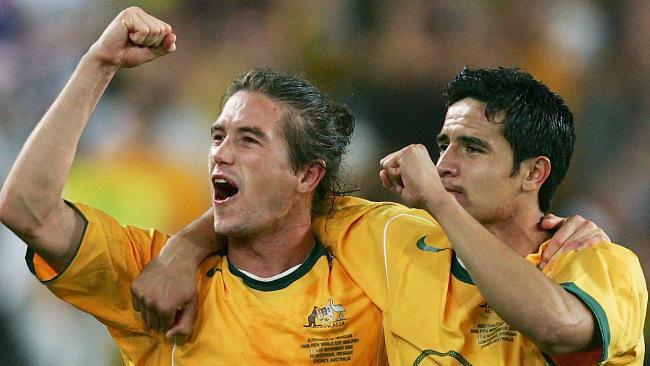 Harry Kewell's achievements and reputation make him a powerful voice. AUSTRALIAN football needs a fundamental rethink. We've lost out DNA and it's time to bring back that rawness and boldness we once had. The players performed well in Russia. They deserved more from the France and Denmark games but Peru caught us off guard. World Cups are a great measure. After Brazil 2014 (0 points), we finished bottom of the group in Russia with one point and we must ask why. I'm not blaming the players, they performed exceptionally. It's the system that needs review. We've stagnated at best. Probably gone backwards in fact. 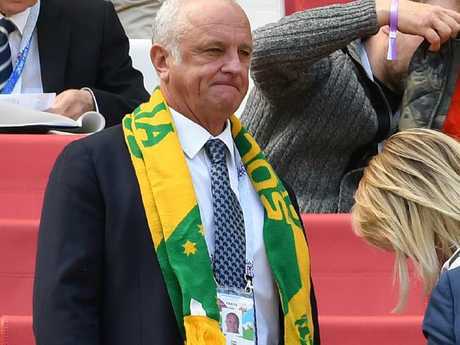 Graham Arnold must be looking and wondering which players are coming through? It's going to be a challenge to retain the Asian Cup and qualify for the 2022 World Cup. 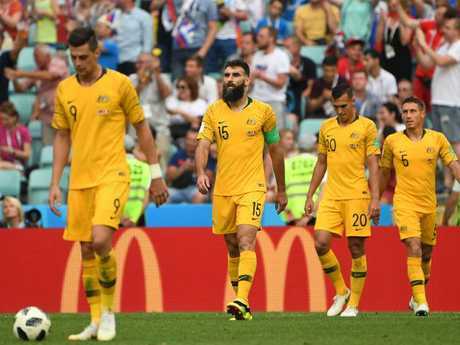 We've lost the rawness, skill, attacking desire that made me and my generation the players that we were and should give Australia a unique football identity. 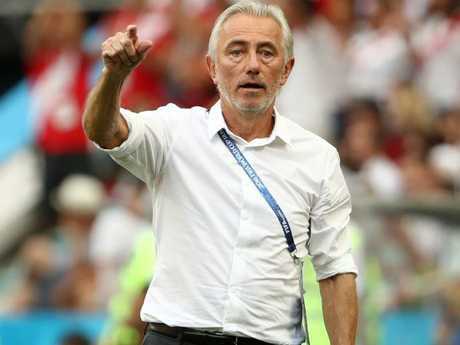 What the World Cup showed me was the players are smart and Bert van Marwijk is clever, but we've lost the spark that makes the difference at the highest level. Talk as much as you like about defence, midfield, controlling games, passing and tactics. If you can't finish then you'll struggle and we seriously lacked that clinical edge in front of goal - creating and finishing. Those near misses, fluffed chances - they can be traced back to the grassroots fields and backyards of Australia. When I broke into Leeds United and the Socceroos, my moves were new in the eyes of many but I'd been practising them daily for more than 10 years. I had confidence in myself anyway, which came from repetition. My late coach, David Lee, worked on my strengths and encouraged me to express myself - one vs one, taking players on, crossing and scoring. If a coach discourages players from dribbling, that should set off alarm bells and players should ask questions. David and another coach, Oscar Gonzalez, would break things down, demonstrate step-overs and body movement, ensuring it was done well - not just move on to the next drill. Kids love to learn and if taught properly, they'll improve. 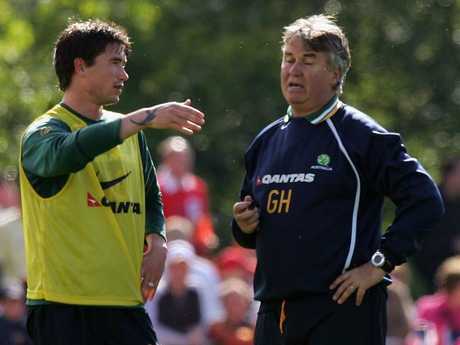 Guus Hiddink is among the best coaches I played for, but he didn't bring the Dutch style. He knew our strengths, adapted us, created a structure and allowed us to express ourselves the Australian way. Guus's success compelled us to go down the Dutch development path. 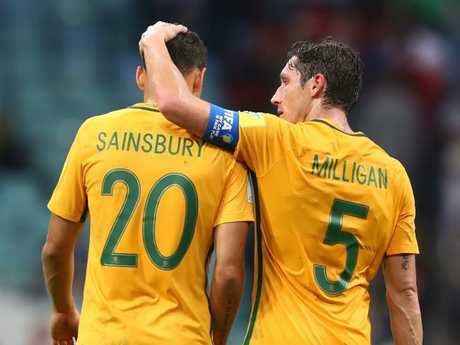 I believe we've sold our soul at youth level and that's filtered through to the Socceroos. The Dutch system is okay for them, but it doesn't mean it's right for Australia. This has got nothing to do with van Marwijk, who did well with this team in a limited period. It's the successive appointments of Dutchman as FFA technical directors - the most important job in Australian youth football - from 2006, when the change occurred, that is to blame. This wasn't how I trained when I was younger, nor did my generation. The best youth coaches develop the individual. Teaching 10 to 14-year-olds about formations, a 4-3-3 or a 4-4-2 is a nonsense. Twelve years on, it's evident that this curriculum will not take us to the promised land. So let's create our own style and vision. It could take 10 years, but change must start now, focusing on the 10-year-olds. It's not a case of ripping it up and starting from scratch. But let's be brutal in our assessment, focusing on returning to our Australian ways. If people want to play European-style football, good on 'em. Aussie players past and present are naturally raw and full of energy - almost with a hint of League or Aussie rules that many of us played in the schoolyard. We love to attack and that's what the public wants. That's how I grew up. Beyond training, I kicked the ball around all the time. 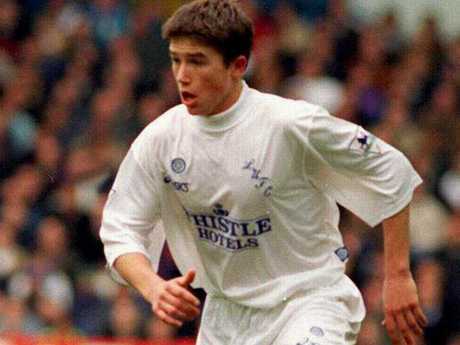 Kewell was a star at the age of 17 when he was playing with Leeds. I juggled a lot, always had the ball, kept it moving, taking people on. I also had imagination - I tried trick shots, put myself in positions where I knew I'd fail first time but eventually I'd succeed. I played against my brother, friends, random guys training in the park, I'd work on my step-overs by taking on a tree. I dribbled between carpark posts. Those were the tricks I then tried out on the pitch with Marconi, the NSW state team, the Joeys, Leeds United, the Socceroos and later Liverpool. We have an agenda, or curriculum in Australia, how we want to play football. Since the generation when we were attacking, scoring goals, I don't see that anymore. We need to give our players the confidence to go forward and demand more of them in front of goal, take more shots. Instead of telling them to cut back, keep the ball, switch it. You want people like Daniel Arzani to get on there and cause problems. We've got to restructure ourselves in Australia to go again and play "freelance", a style where we give forwards freedom to express, attack, especially at a young age when confidence grows. Arnold knows how important the A-League is for players and coaches. He had success with Central Coast and Sydney, where he could sign foreigners. 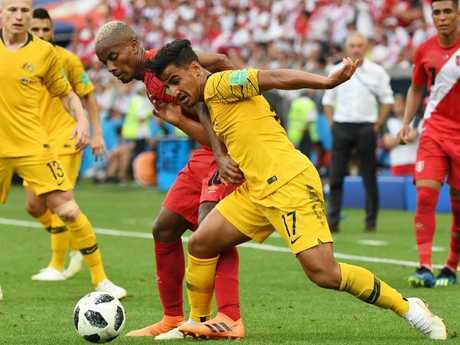 With the Socceroos he can only work with the players he's got, which is why Australia must review all aspects of football. England asked itself hard questions, despite having one of the best leagues in the world. Now they're flying at youth level. Who knows how far they'll go in Russia. But they'll be stronger at the next World Cup. The A-League is solid and has a vital role to play. Expansion is not enough. The clubs need incentives to produce players and the A-League must become independent and high quality. Signings such as Besart Berisha, Thomas Broich and Bruno Fornaroli have a massive positive effect on youngsters. City Football Group wants to invest, but we must make sure young players play - maybe look at introducing a rule where three young players per team must play each game. The Socceroos celebrate after John Aloisi kicks a winning penalty goal to send them to the 2006 World Cup. We're getting desperate, which is why Arzani's viewed as the next big thing. His emergence and confidence is fantastic, but we can't just throw all our expectations on him. We've done that before with other players and it's failed. Where are they now? Let him go and play and express himself. 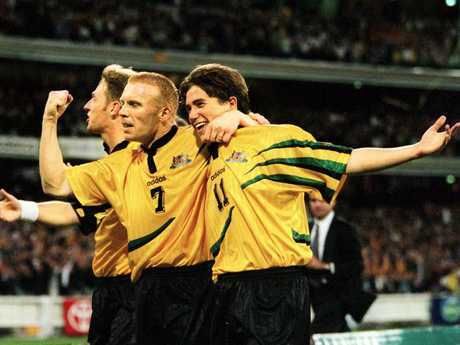 If the Socceroos want to compete on the world stage and produce a steady stream of talent, the ideal formula is for young players to get 50-60 games by age 20-21 - like Mark Viduka, Mark Bresciano and Ned Zelic - before progressing to Europe with confidence.